BAY-Peace just completed another amazing 5-week paid summer internship program for high-school youth. Our twelve summer interns received vocational development in community organizing, arts activism, facilitation and non-profit administration, while focusing on an exploration of how Trump's policies are impacting different communities around the Bay Area. We partnered with OUSD's ECCO program, The Spanish Speaking Unity Council's OYE program, Youth Radio, and YEP to offer stipends to an amazing group of diverse students from across Oakland. 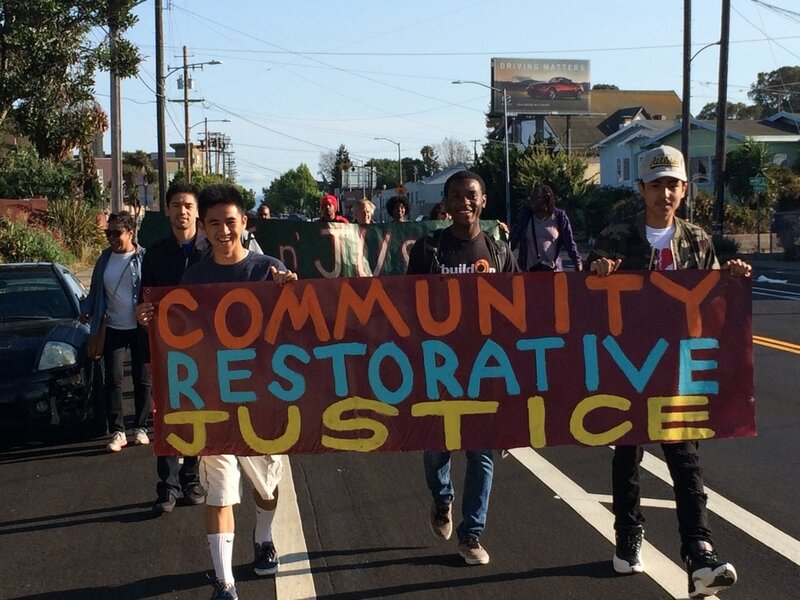 During the 2017 Summer Program, our interns offered learning exchanges and participated in community action projects with several other organizations from around the Bay Area, including Oakland Community Organization, AYPAL, Californians for Justice, Idle No More, Backyard Bound, the North Oakland Restorative Justice Council and Phat Beets. We visited communities from Richmond to Salinas to explore the impact of the Trump administration on racial justice issues including immigration, health care, gender, militarism and the environment. Our interns conducted dozens of interviews with individuals across Oakland and in other communities, and our Youth Radio intern, Xirix Bickham, is currently in the process of creating a documentary based on our findings. Stay tuned for the premier of our exciting video this fall!